The Research Triangle Park (RTP), North Carolina, is one of BASF’s six major hubs for research and development in North America. 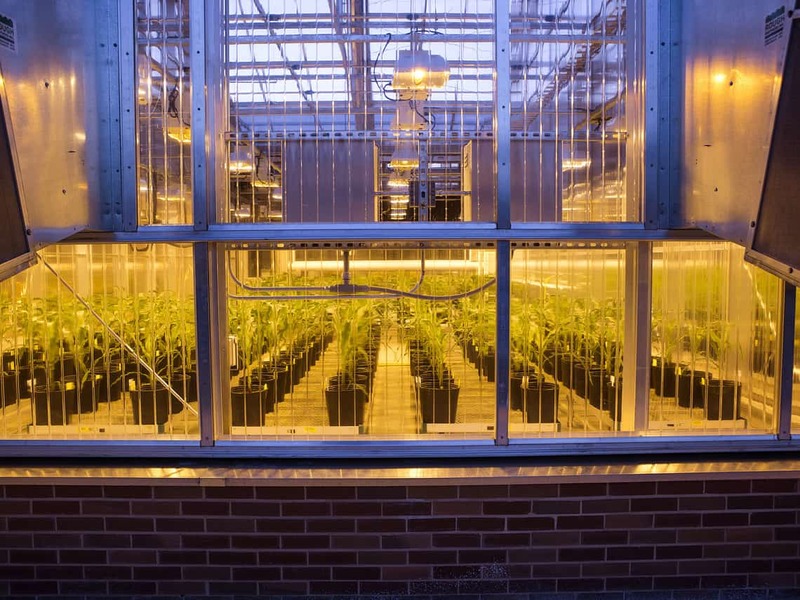 It offers several laboratories and greenhouse space for diverse research and development projects like this greenhouse in which plants for the fungal resistant corn project are grown. Print free of charge. Copyright by BASF.Der Research Triangle Park (RTP) in North Carolina (USA) ist eines von sechs BASF-Zentren für Forschung und Entwicklung in Nordamerika. Der RTP verfügt über diverse Labore und Gewächshäuser für verschiedene Forschungs- und Entwicklungsprojekte. In diesem Gewächshaus werden Pflanzen für das Projekt für pilzresistenten Mais gezüchtet. Abdruck honorarfrei. Copyright by BASF. The International Rice Research Institute (IRRI) and BASF recently signs three agreements to pave the way for wider dissemination and adoption of direct-seeded rice (DSR) tools and technologies. Through this partnership, the two organisations will establish a multi-stakeholder DSR Consortium and further research on the use of non-genetically modifies, herbicide-tolerant rice. Under optimal conditions, direct seeding is considered a more efficient and cheaper method of growing rice, compared to manual rice transplantation. It requires less resources and emits less greenhouse gases as well. Although direct seeding is widely practiced in the United States and South America, challenges such as high yield losses due to weed infestation have limited its wide-scale adoption in Asia. The new research consortium aims to develop robust mechanised dry and wet DSR systems, investigate solutions to manage weeds and formulate agronomic practices suited for DSR farms in Asia. Furthermore, the consortium will enable IRRI to develop DSR technologies and test rice varieties suitable to Asian environmental conditions. “Feeding the world is a problem that need everyone’s contribution, including the private sector. With this partnership, we’re enabling organizations like IRRI to work closely with companies like BASF toward a common goal, which is sustainable development,” said Jacqueline Hughes, IRRI’s Deputy Director General for Research. The partnership will also advance research on non-genetically modified, herbicide-tolerant rice to safely control weed infestation in DSR systems. Once these varieties are introduced to the market, a third-party organization will assess their impact on rice productivity, profitability, and ecological sustainability. In other news, BASF has increased the prices of a majority of products in its additives portfolio for plastic applications. These include for product classes of antioxidants, light stabilisers, flame retardants and other plastic additives. The prices were said to be increased up to 15% globally.